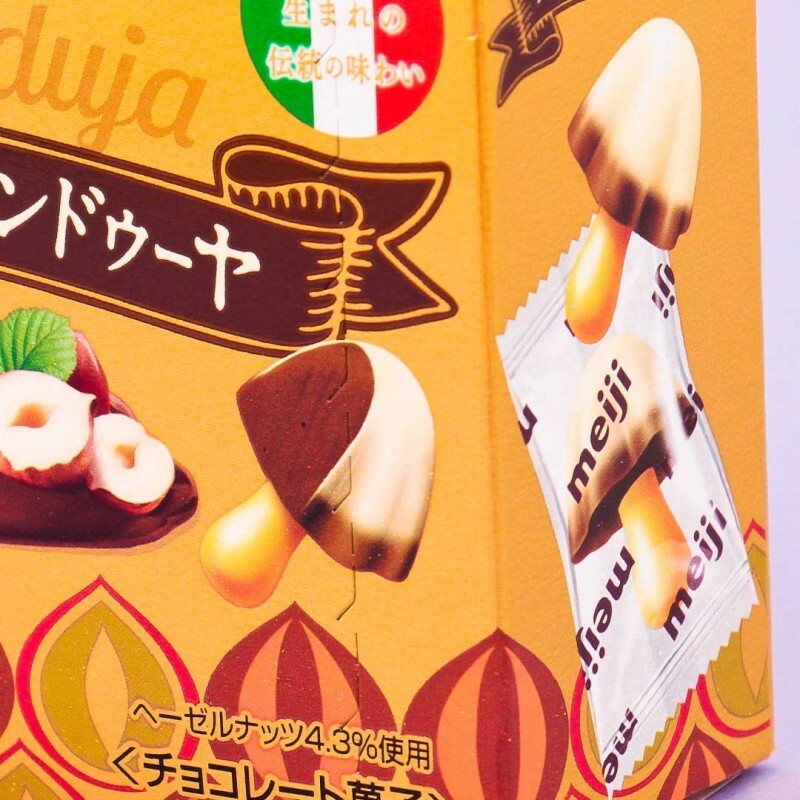 Meiji's Kinoko No Yama choco biscuits have been popular in Japan for over 20 years! 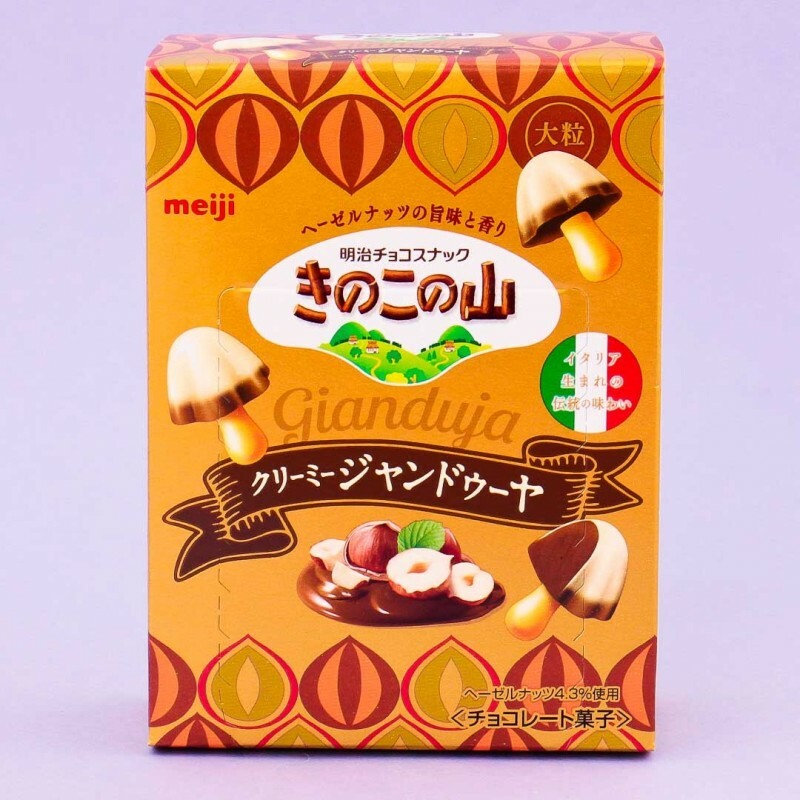 This time, they made it with the luxurious taste of gianduja, a chocolate spread with over 30% hazelnut paste. 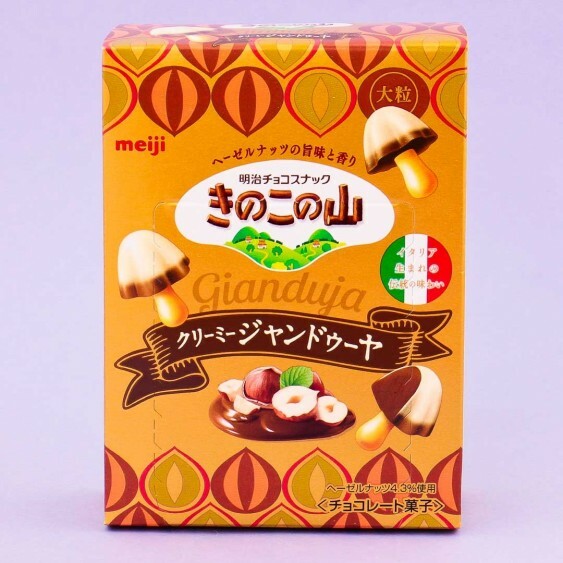 The stems of these mushroom-shaped chocolate snacks are made of crunchy biscuits and the top are flavored with gianduja chocolate. 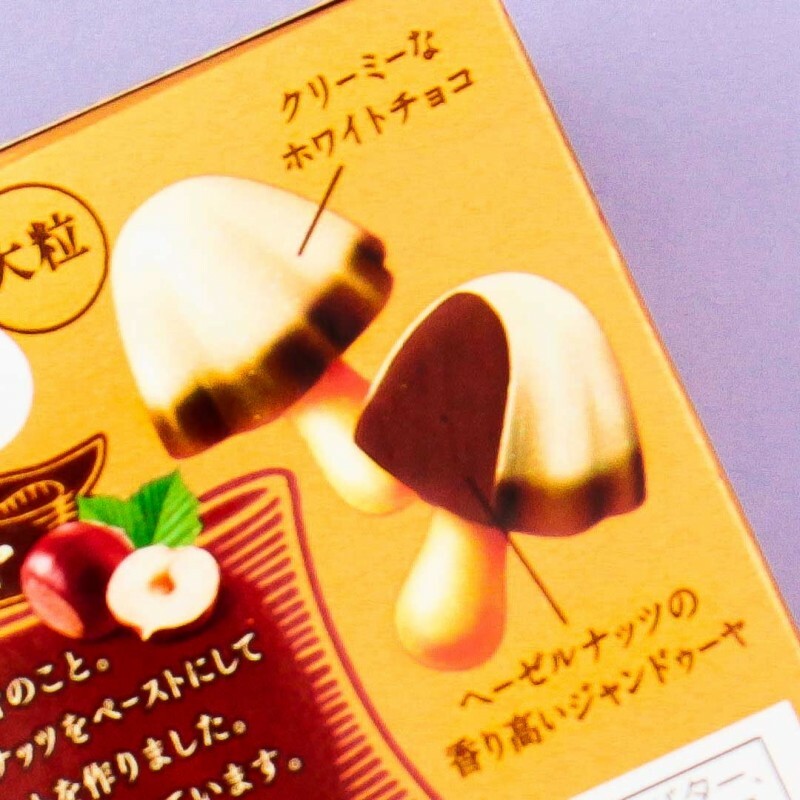 Perfect for picnics and parties!